Our Dupont Extra Plump pillow has a 50/50 poly/cotton white ticking. 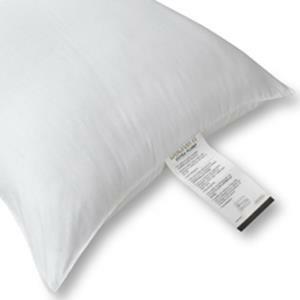 The Dacron pillow offers an additional 10% more Hollofil II polyester fill, making the pillow a total 33 oz. of complete comfort. It has firm density support with 4-hole chamber fiber core. This pillow is made to Invista Certified quality standards.